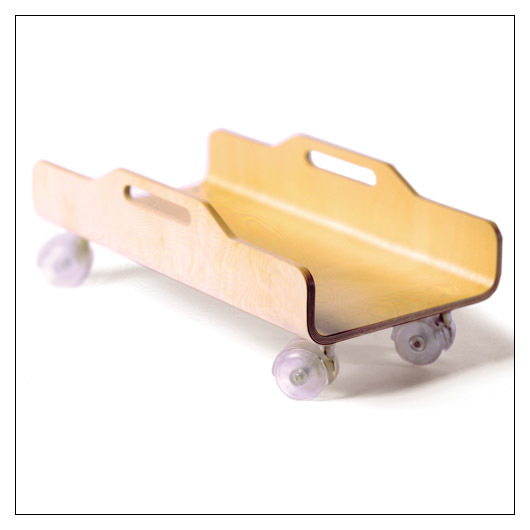 Molded Ply CPU Skateboard (CPUPLY) at Pure Design / Storage / Workspace ::: Furniture for the Home, Office, Home Office, and More at Pure Design Online! Crafting this piece in molded ply was irresistible. A perfect contrast to the CPU, this skateboard will lift it off the floor reducing dust intake and extending computer life. Casters make it mobile for easier access to ports and cables. Molded plywood with clear casters.